Melissa's Blog: There IS a movie with Russell Crowe and Leonardo Di Caprio in it! There IS a movie with Russell Crowe and Leonardo Di Caprio in it! OK, so I can’t remember all the details of the plot,but I do remember watching almost the whole way through without realising it was Russell Crowe, and I call myself an Aussie? Oh well. 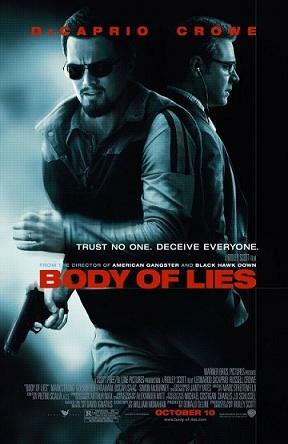 I did enjoy Body of Lies but then again we watched so many espionage style movies while I was expecting Emily, I can’t say I’ve kept all the storylines straight in my head. But for the record there IS a spy movie with Russell Crowe and Leonardo Di Caprio in it! My family always likes to jump onto IMDB to satify their curiosity about actor, tv series and see from where we recognise that face. However did we survive back in the ‘old days’?